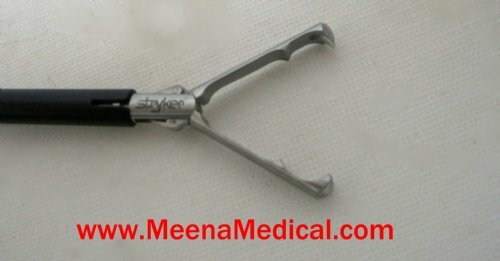 The Stryker 250-080-230 Laparoscopy Instrument Ratchet Handle with 250-080-245 Double Action Claw insert (10mm) consists of a handle, shaft, and insert. One handle can be used in combination with a variety of different inserts of the same size. This unit is Preowned and in Good Condition. 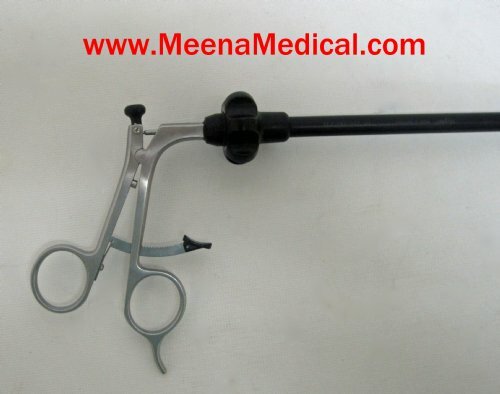 Laparoscopic surgical manual instruments are designed to be used endoscopically through cannula to perform cutting, grasping, dissecting, retracting, and manipulating functions. Using excessive force to manipulate the instrument or its handles may cause the instrument to break.